If you are like me, using VMWare workstation on Linux (CentOS 6.4), and you want to start your virtual machines on boot, I have the answer. CentOS 6.x. 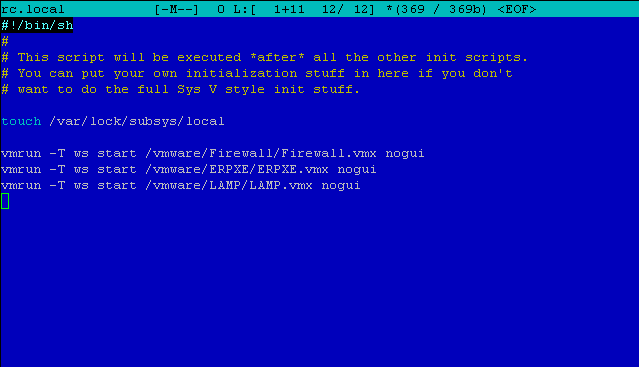 – although the vmrun command may be working in other distributions too. create new line for each machine you want to start on boot. This entry was posted in Centos, Linux/Unix, Virtualization and tagged CentOS, CentOS 6.x, Virtualization, VMware on November 6, 2013 by Etay Cohen-Solal. This entry was posted in Virtualization and tagged PowerCLI, Virtualization, VMware on August 29, 2013 by Adam Mallul. Oracle VirtualBox has no GUI to resize VirtualBox disk VDI format so you need to use a Command Prompt utility called VBoxManager. This entry was posted in Virtualization and tagged Oracle, VirtualBox, Virtualization on March 30, 2013 by Adam Mallul. By default when enabling SSH Access to a vSphere Host we will get a constant VMware SSH warning, In this tutorial we will explain how to remove it. 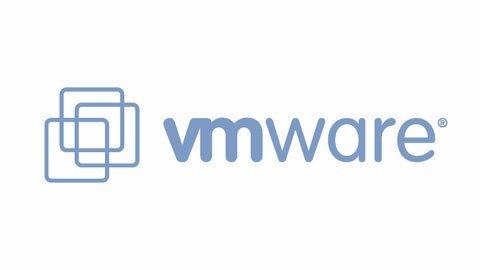 This entry was posted in Virtualization and tagged Virtualization, VMware on February 25, 2013 by Adam Mallul. In this tutorial I will explain how to enable SNMP Monitoring on VMware vSphere 5 Hosts. This entry was posted in Virtualization and tagged Server, SNMP, Virtualization, VMware on February 7, 2013 by Adam Mallul. if you have installed new setup of ubuntu server, root is disabled by default. This entry was posted in Linux/Unix, Ubuntu, Virtualization and tagged Ubuntu Server, VirtualBox, Virtualization on August 8, 2012 by Etay Cohen-Solal.